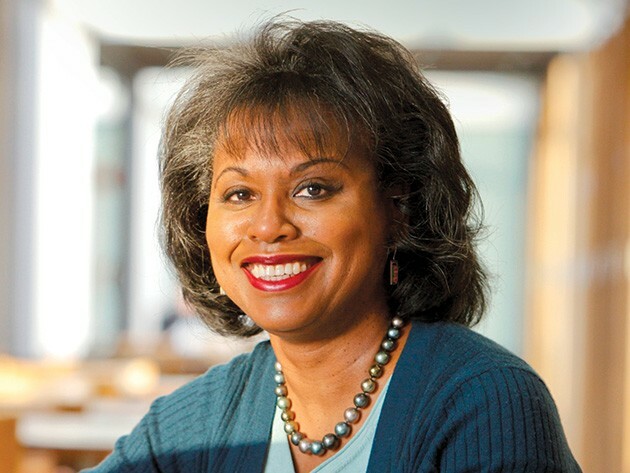 Anita Hill keynotes a fundraising gala for an Oklahoma university’s new social justice center. Anita Hill speaks at University of Science and Arts of Oklahoma (USAO) fundraising gala Feb. 22. Tickets are on sale now. Former University of Oklahoma law professor Anita Hill entered the national spotlight in 1991, testifying against U.S. Supreme Court nominee Clarence Thomas, whom she accused of sexual harassment. Though Thomas went on to be confirmed as a Supreme Court justice, Hill’s legacy transcends those Senate hearings and lives on in modern movements like #MeToo. Now an advocate of racial and gender justice and a professor of social policy, law and women’s studies at Brandeis University, Hill continues to be a catalyst for change toward equality. In fact, Hill currently chairs Hollywood Commission on Sexual Harassment and Advancing Equality in the Workplace, a commission created by some of the biggest entertainment institutions to combat sexual misconduct in the industry. Oklahomans will have a chance to hear Hill speak at a University of Science and Arts of Oklahoma (USAO) fundraising gala. The gala will raise money for USAO’s newest project, Dr. Ada Lois Sipuel Fisher Center for Social Justice and Racial Healing. 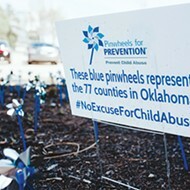 In an interview with Oklahoma Gazette, Hill said she wants to emphasize the important work the center can do for society. Fisher graduated high school as valedictorian and went on to graduate from Langston University with honors. In 1946, she challenged the segregation of University of Oklahoma (OU) College of Law. 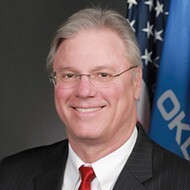 Going all the way to the U.S. Supreme Court, Fisher convinced the judges to unanimously rule that Oklahoma must give African-American students equal quality education. Though she had to keep fighting, Fisher was finally admitted to the law school in 1949. 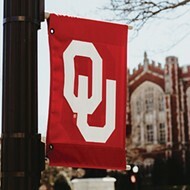 Hill, who taught at OU College of Law, knew Fisher while she served on OU’s Board of Regents. Hill said she feels humbled and proud to get to speak at a gala that honors Fisher. She tells Fisher’s story often as a model of lifelong commitment and determination to justice. Like Fisher, Hill was born in Oklahoma. She said she is excited to return, especially to honor someone who means and signifies so much to her. 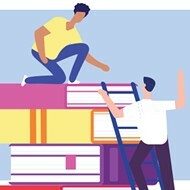 When Palo Alto University professor Christine Blasey Ford accused Supreme Court nominee Brett Kavanaugh of sexual harassment last year, many felt like the country was reliving a chapter of the past. As in 1991, despite hearing testimony of sexual harassment against a nominee, the Senate voted to confirm the accused as a Supreme Court justice. Just because Senate members might not have learned much since 1991, Hill said, does not mean society has not evolved. She said people shouldn’t judge society by the leadership of the Senate. The 2018 hearings came almost a year after the #MeToo movement gained national attention and media coverage. Countless women, many in roles with power and authority, came forward and joined the movement, saying they too had been victims of sexual harassment. Hill said the movement, while discouraging in some ways, has motivated more women to stand up for themselves and get involved. The year after Thomas’ confirmation as Supreme Court justice is known as the Year of the Woman because more women were elected to Congress than ever before. Many credit this to the anger women felt watching Hill being questioned by a committee full of white men on national television. 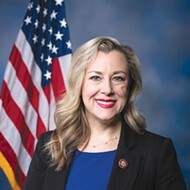 Hill said anger continues to be an important motivator for people to get involved politically but that USAO’s center and similar institutions can help keep people involved. “People should get angry in the face of injustice,” she said. “What the center can do is to keep people engaged throughout. The center can also … provide the ideas and the research to support our arguments for change. So it’s important that the center is going to be at a university where we can come together and study these issues, make recommendations of how to directly confront them, figure out what does work for positive change and what doesn’t and then share that information, not only with our students, but to the public. 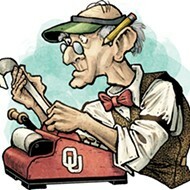 USAO’s gala is 6 p.m. Feb. 22 at Oklahoma History Center, 800 Nazih Zuhdi Drive. Individual tickets are $100, and sponsorships range from $2,500 to $25,000. Visit usao.edu/gala.